Military families have special needs when they move. Distances are vast and time is of the essence. The MacGuire team understands that the 10-day window before reporting for duty at the new assignment is crucial to your relocation. Often, one spouse has the responsibility to choose a new home for the entire family. Or when selling, the remaining spouse must deal with the preparation and sale of the family home alone. 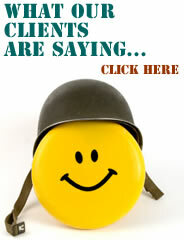 The MacGuire team specializes in giving military families peace of mind during this stressful time. Our team works diligently to provide a professional, smooth and supportive real estate transaction for military personnel and their families relocating to or from the Colorado Springs area. The maximum that most cash back bonus programs are offering is $1,550. Our Military Appreciation Incentive Program Allows a Credit at Closing of up to $1,650! Note: Cash bonus does not apply to those transactions where a referral fee is due. Cash bonus is paid on full fee structure transaction. YES! I am a military member interested in receiving CASH BACK on my home purchase or sale! Please contact ASAP me with program details. Copyright 2010-2018. The Macguire Team. All rights reserved.